Damascus (AFP) - Syria's government and opposition forces have reached a deal for rebels to leave the last part of Homs city under their control, the provincial governor told AFP on Tuesday. The deal, to be implemented over two months, will see the city once dubbed "the capital of the revolution" come fully under the control of the government. Under the agreement, according to governor Talal Barazi, some 2,000 rebels will quit the city's Waer district in several stages. "All the rebels will leave Waer within two months. A group of 200 to 300 armed men will leave in the first step, which will begin on Saturday," Barazi said. He said the first stage of the deal would last a week and would see "some heavy and medium weapons turned over to authorities." Some families of rebels will also leave. In return, the regime will lift its siege of the district, which is in the west of the central city, and end its military operations against Waer, which is the frequent target of government shelling. After the evacuation is complete, regime police, but not troops, will reenter the area, Barazi said. "We have agreed to keep the peace and end military operations to create the right circumstances to apply the deal," he added. The deal also envisages "the release (by the regime) of some prisoners, as well as civilians and military men held hostage by the rebels in Waer," he said. The agreement was reached after a meeting Tuesday between Barazi and representatives of rebel groups present in Waer, including Al-Nusra Front, the Syrian affiliate of Al-Qaeda. Civil society groups from the district were also present, along with a UN delegation including humanitarian coordinator Yacoub El Hillo and representatives of UN special envoy Staffan de Mistura. It remains unclear if the United Nations is sponsoring the negotiations or overseeing implementation of the deal, as it did with an earlier agreement that led to the evacuation of opposition forces from Homs's Old City. 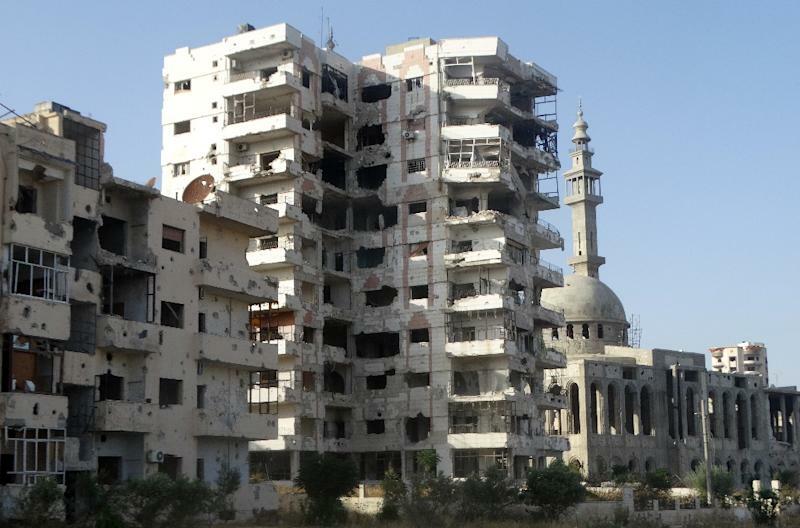 Some 75,000 people currently live in Waer, down from 300,000 before the Syrian conflict began in March 2011. It was the only part of the city to remain in the hands of the rebels after opposition forces evacuated the Old City in May 2014. Some 2,000 fighters and civilians left under that agreement, ending a siege of more than two years and daily shelling and combat that reduced much of the Old City to rubble. More than 250,000 people have been killed since Syria's conflict began in March 2011 with anti-government protests. Homs saw some of the largest protests of the early uprising, and later some of the fiercest fighting after opposition forces took up weapons in response to a government crackdown.